Dunlop Force was the fourth group to leave Java – its Commanding Officer the one and only Lt. Col E.E. ‘Weary’ Dunlop from 2/2nd Casualty Clearing Station. The party left Makasura Camp on 4th January 1943 for Tanjong Priok Port, embarking on ‘Usu Maru’ and disembarking three days later at Singapore. Here the men were accommodated at Changi Cantonment in the British area north of Selarang Barracks. 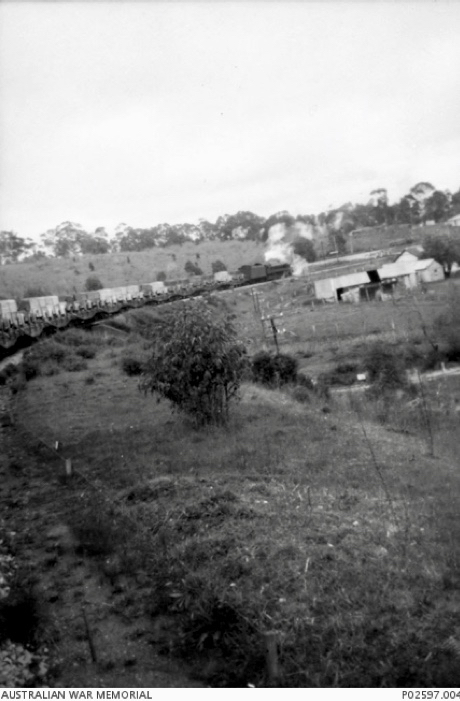 On 19th January the men began to leave Singapore by train arriving at Non Pladuk on 24th January. The POWs were trucked to Tarsau via Tardan then north to Kanu III where they arrived on 25 January 1943. Dunlop Force was to be the first Australian force to work on the southern end of the railway in Thailand. It was incorporated into ‘D’ Force Thailand Administration Group 4. Although now part of ‘D’ Force, Dunlop Force managed to retain its identity over the years and is rarely referred to as being part of ‘D’ Force. They were made up of 3 Australian and one Dutch Battalions. The first two battalions were O Battalion under Major H. Greiner of 2/3rd Machine Gun Battalion. P Battalion was under the command of Major F. Woods who was the Australian Liaison Officer during the Battle of Java. The third was Q Battalion under the command of Capt. J. Hands also from 2/3rd Machine Gun Battalion. The fourth was the Dutch R Battalion under the command of Capt. Smits. Whilst O and P Battalions retained close ties with the 2/4th machine gunners of S and T Battalions, Q and R Battalions tended to always remain one step ahead of the other two battalions of ‘D’ Force. These Japanese designated Company numbers are often the key that unlocks the secret as to which particular group each POW belonged. There were 20 men from 2/4th split equally between O Battalion No. 25 Coy and P Battalion No. 26 Coy. Arriving at the allocated area for their camp all that had been in this jungle patch was the clearing of trees. Firstly they were required to build the Japanese accommodation, headquarters and store huts before concentrating on their own huts. By 1 February a kitchen had been erected, one hut about 55 yards long by 7 yards wide, work had started on a second hut with most of the roof thatched with atap and a third hut was being worked on from the ground upwards. By 14 February the framework for another 5 huts, the hospital and officers quarters were completed but were held up by the lack of material to thatch the roofs. On l7th March all the sleeping platforms or chungs were constructed so at least the men were off the ground and but still sleeping under the stars. It was at this point the Japanese decided the camp location was not right! The camp was too far away from the projected route of the railway. All the hours of labouring was for nothing and the camp abandoned. O and P Battalions moved back up the mountain on 17 March 1943. In time, the hours of labour was not lost because cholera patients from Malay Hamlet, Kanu II and Kanu III camps would be brought down the mountain to this camp, ensuring isolation before being barged down river to one of the established Base Hospital Camps. ie. if patients survived the treacherous trek on foot or by stretcher down the mountainside and then their isolation period. There are several different names for this camp and can be sometimes read as Hintok Road, Hintok Mountain or Hintok Jungle Camp. In Murray Ewen’s “Colour Patch” this camp is known as Hintok Road Camp and was located approximately 156 kilometres from Non Pladuk in the higher mountainous country. Rod Beatty on the other hand, from all his 20 years of researching the Burma-Thai Railway, says Hintok Road Camps were located at about 154 km and Hintok River camps at 156 km (this was where H Force and ‘D’ Force were located). If this information appears conflicting, please feel as puzzled as we are! One thing is certain, there is always a degree of mystery and uncertainty. POWs did not know the locations of their camps – there were no welcoming signs with the name of the area. Once the groups left the southern towns of Thailand – they only sometimes passed by a small village – they moved across and worked in the jungle and mountains. On 12 March the first batch of 100 men from O and P Battalion moved out on foot from Kanu I Camp to their next camp at Hintok Road. The route they used was the same as that they used to come into this camp a month earlier. The track went up the side of the mountain to the plateau and then north along the road past the yet to be established Kanyu II Camp. With 7 days the remainder of O and P Battalions had moved up from Kanu I River Camp to join the advance party. There were a few established huts that had been erected by Dutch POWs but the camp was so filthy it was decided to burn the existing huts. 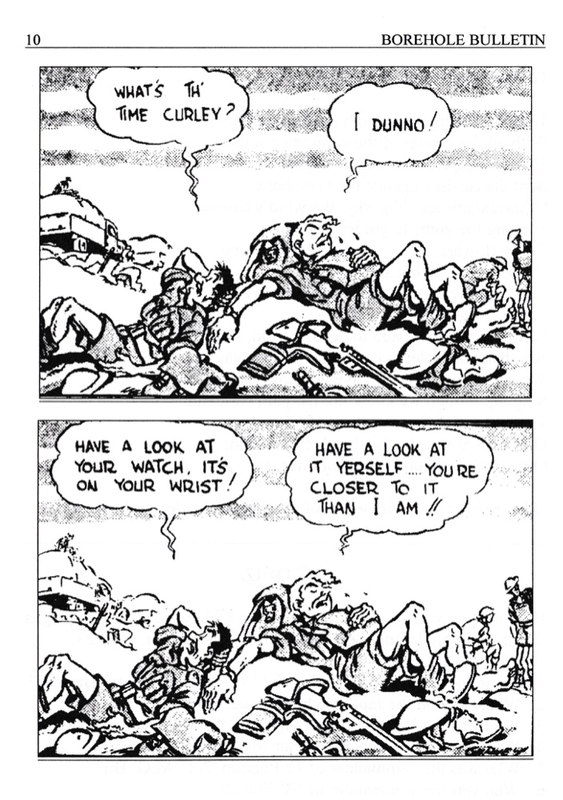 Dunlop described the camp at Hintok Road as ‘like a Chinatown with many crazy looking huts”. O and P Battalions pitched their tents and began constructing bamboo sleeping platforms and floors within. The men’s sleeping quarters immediately took a lower priority over the railway – the POWs immediately began working on the line. One of the greatest difficulties with this camp and was the same at Konyu II and III camps, was the distance of 7 kilometres trek to the River Kwae Noi barge landings. All their food supplies had to be manhandled over some very steep and slippery terrain to deliver it to the camp.